Water Features, Artificial Ponds, Fountains | Haney Landscaping, Inc.
We design and build pondless waterfalls, fish and garden ponds, custom wall water fountains, garden and courtyard fountains, as well as other water features including streams, pools, spas, pondless vessels or vanishing ponds, water pots, bubbling springs and grottos. While we have clients everywhere in South and Central California, we primarily serve Santa Barbara, Carpentaria, Ojai, Ventura, Camarillo, Oxnard, Thousand Oaks, Westlake Village, Agoura Hills and Newbury Park. 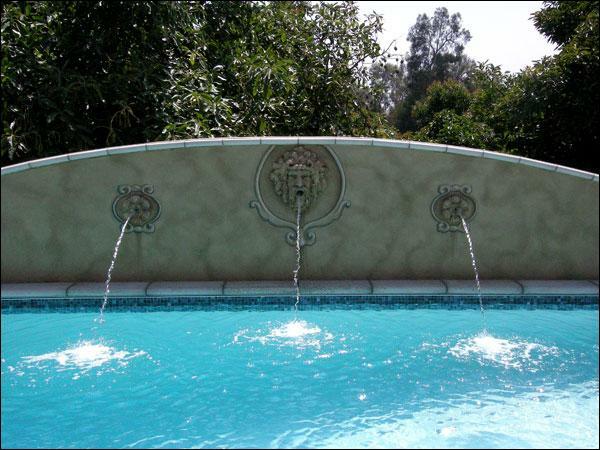 Water features are essential to creating a warm, inviting ambience for your family and guests. The look, sound and feel of water enhance our enjoyment of the beauty we have created through our landscape design. A water feature can be something as simple as a birdbath, or as complex and indulgent as a waterslide built into a grotto with a waterfall flowing over its expansive opening. Water features can be fountains, ponds, streams, pools, spas, pondless vessels or vanishing ponds, bubbling springs and water pots, wall fountains and grottos. Water features can create a very specific environment. For example, a Zen-like water feature promotes simplicity and tranquility. It creates a sense of calm, and gives you a serene place in which to relax and escape from the pressures of daily living. In contrast, a roaring river or stream crashing into a pond or pool creates a sense of adventure, ruggedness and excitement. 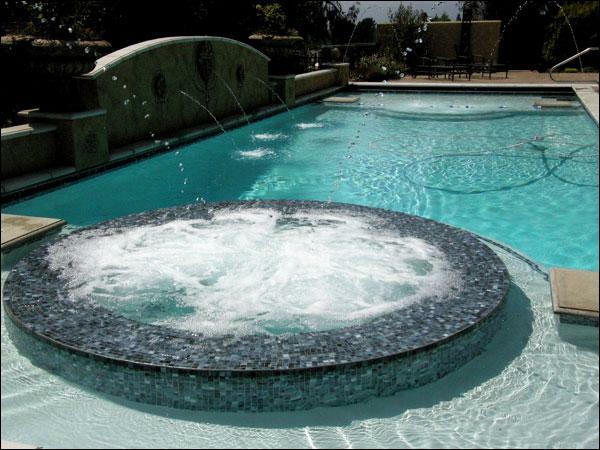 The variety and usage of water features are endless, and customizable to a homeowner's desires.